Hello friends! I'm very excited to share with you the newest Sweet Melody news! After teaming up with Shannon Fabrics, I have just finished launching my new fabric line entitled "Just Imagine" and wanted to give you a few glimpses of what is going to be coming out this summer. I've just returned from the 2016 Spring Quilt Market, which took place in Salt Lake City, Utah this year. This is a bi-annual event where all the big fabric companies show off what's new, and is the place to be when you want your new fabric line to be seen. We met with lots of manufacturers, retailers, and sewing enthusiasts. The "Just Imagine" fabric line was very well-received, all with positive feedback. Within this design line, there are 18 different designs. Some of them will be in a soft Cuddle fabric (similar to minky), and others will be in the Embrace double gauze fabric. So what does that mean for you? Shannon Fabrics will be selling to a lot of fabric retailers as well as online fabric stores. You can find out if a store near you carries some of the fabric and check it out for yourself, I'll leave the info for that at the end of this blog post. Another big thing that I am super excited about are the new Sweet Melody Swaddle Packs! They will be coming out soon (hopefully July 2016) and will be available to purchase here on the Sweet Melody Designs website! Swaddle blankets were by far my favorite baby item when I had both my children, and were very versatile in their uses besides just to wrap them up snug. This can be used as a stroller cover, carseat cover, play mat, or just a blanket to hold and snuggle with as they get older. There will be three different styles initially available, and each swaddle pack will be a pack of 3 swaddle blankets. These soft and adorable blankets are made from Embrace double gauze fabric, and will be warm and breathable for your little one. These make the perfect addition to your baby necessities, or also the perfect baby shower gift! Here are a couple sneak peeks of the swaddle packs, the first showing a neutral woodland hot air balloons, along with arrows. This one will also come with a solid Aruba Teal swaddle. The other image shows our sweet elephants with the Little One, and shooting stars. This will be available in baby pink or baby blue, along with a solid as well. Thanks for tuning in! I hope you are just as excited as I am, and I'd love to hear your comments! * You can find Shannon Fabrics at many local quilt shops and fabric stores, and online at fabric.com, theminkyboutique.com, and fabricdepot.com. You can also view their NEW Store Locator to find shops near you: Store Locator. Just remember to call ahead to ensure product availability. Here at Sweet Melody Designs we love little ones. Our goal is to give you the best product we can to make your nursery beautiful. You can match any part of any Nursery Art Print to any color you want, then we print it and send it to you. We also have wall decals, and swaddle blankets. We'll keep you posted on the newest updates, trends, and exclusive deals. Wild & Free Swaddle Blankets! 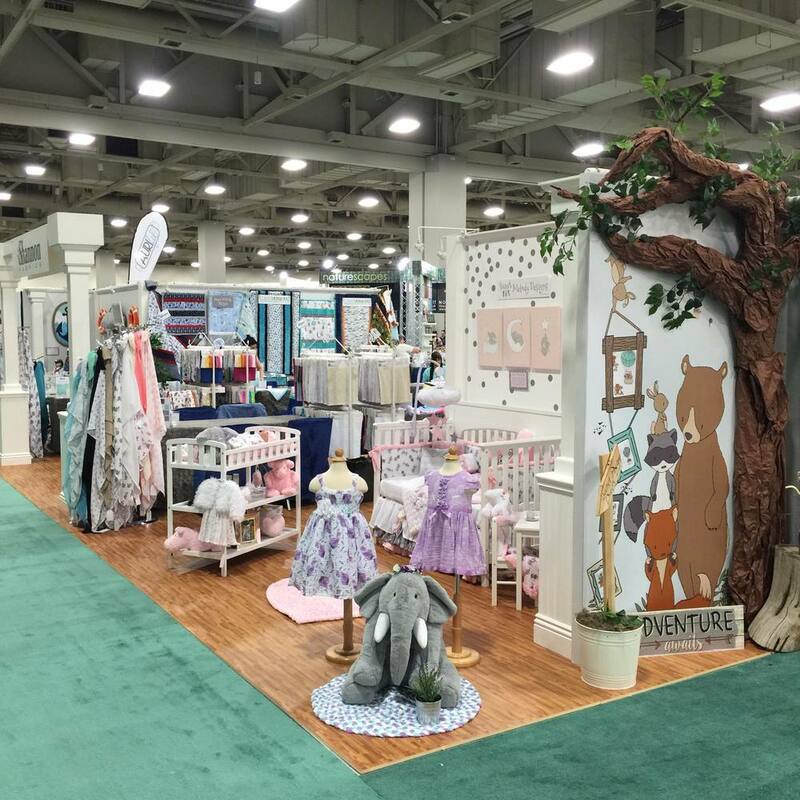 "Wild & Free" Fabric Line Launched! Are You Dreaming of Decals?